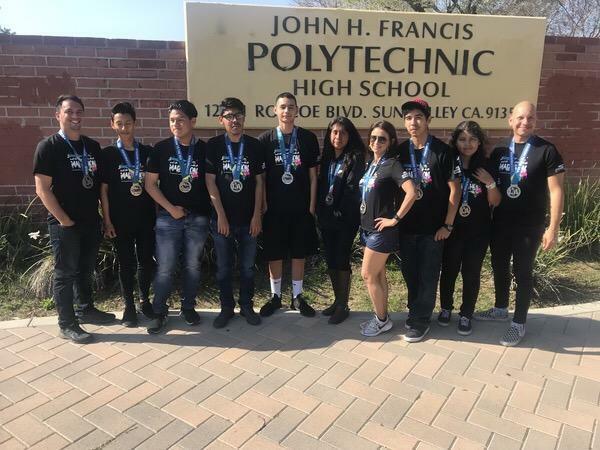 Congratulations to Poly students Antony Gaytan (9th), Eduardo Dionicio (10th), Lesley Solano (12th), Robert Velez (12th), Janice Noriega (9th), Jorge Salazar (10th), Omar Castro (9th), and Juan Zendejas (10th) for completing the Los Angeles Marathon! Coach L. Coronel and Coach J. Brown mentored our student athletes this school year teaching them responsibility, discipline, and goal-setting through Students Run Los Angeles. The Poly community is extremely proud of these students for accomplishing this huge feat!